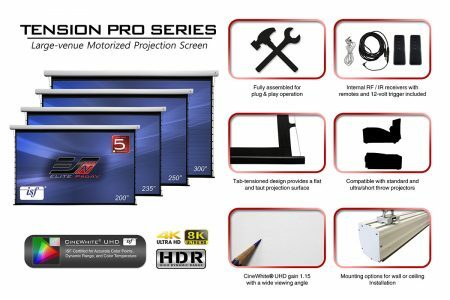 Tension Pro Series - EliteProAV - Providing an array of dedicated commercial grade projector screens to professional integrators. 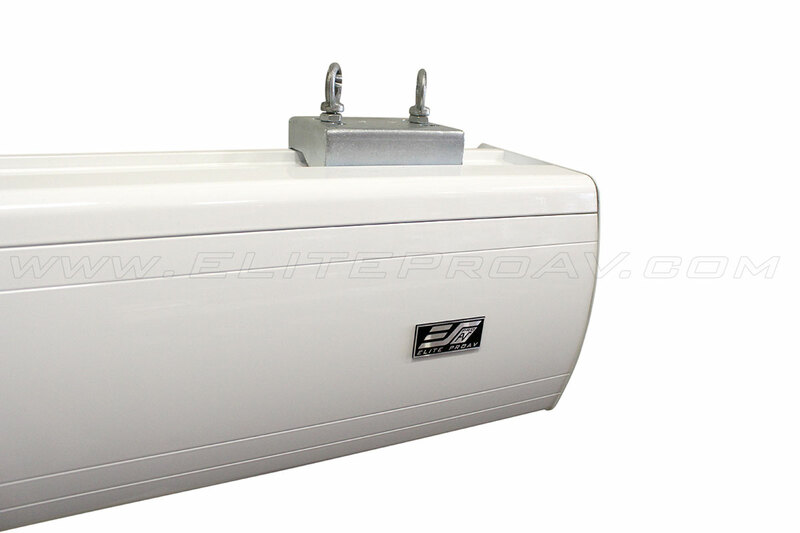 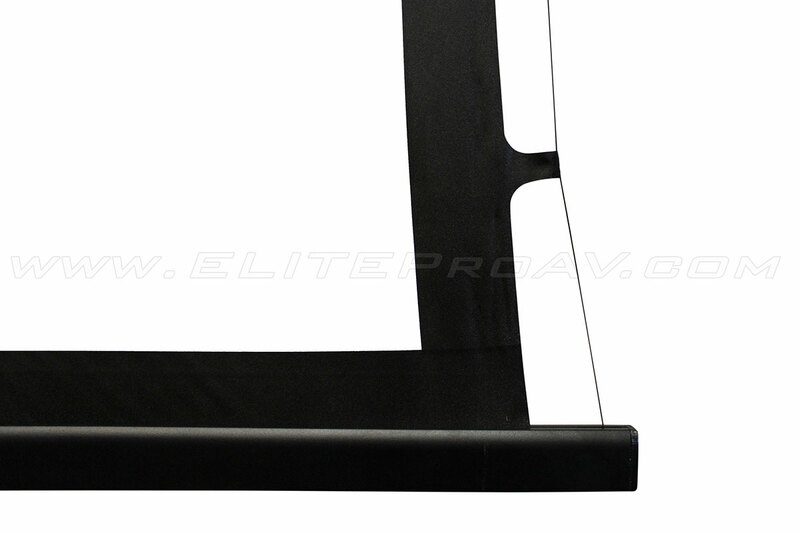 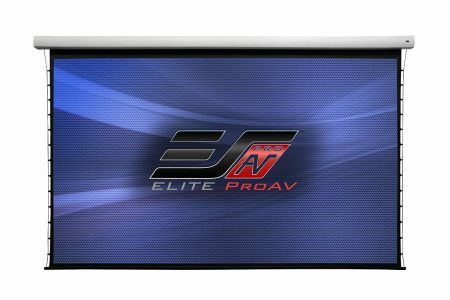 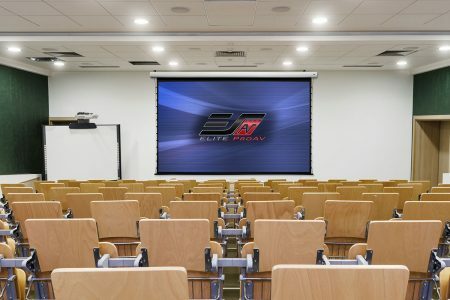 Elite ProAV’s Tension Pro Series is a large-venue motorized retractable projector screen. 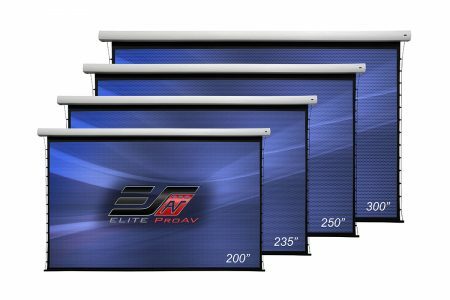 It features superior flatness using a tab-tensioned system design and is available in sizes from 200″ – 300″ in a 16:9 (HDTV) aspect ratio. 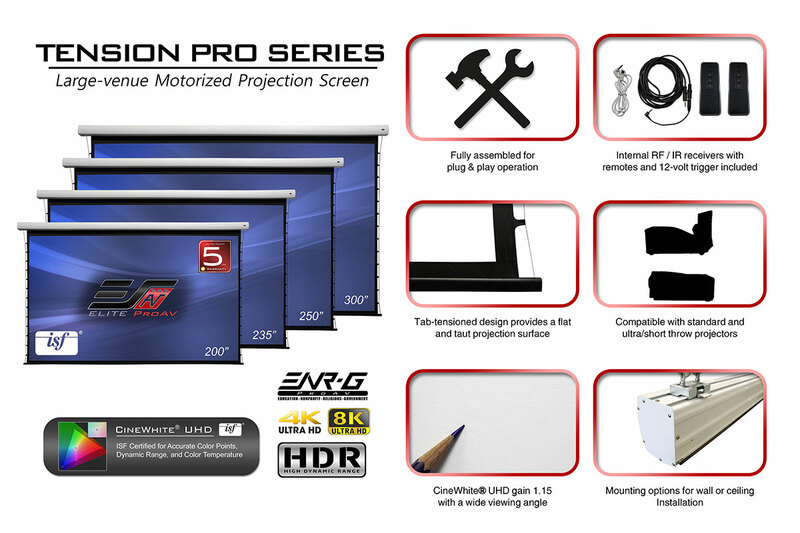 Standard accessories include IR/RF remote controls, and a 12-volt trigger to synchronize the screen’s operation with the projector’s power cycle. 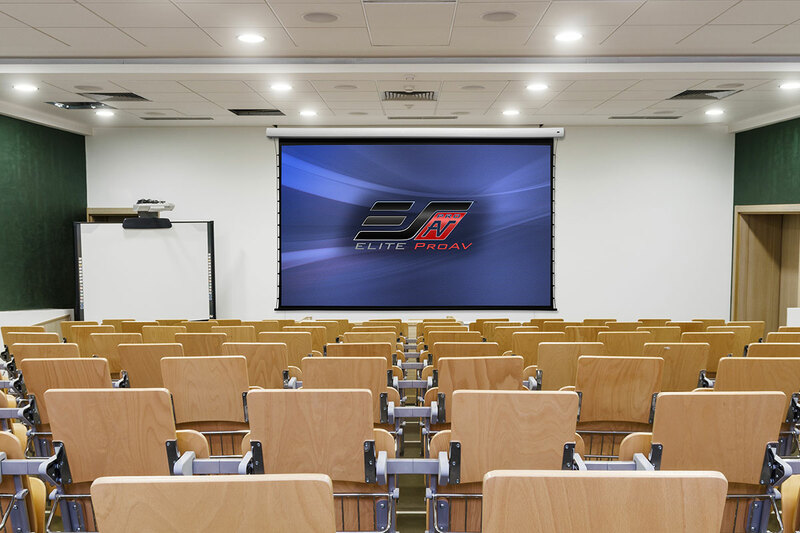 The Tension Pro is ideal for projection presentations in auditoriums, gymnasiums, or any other large venue indoor environments. 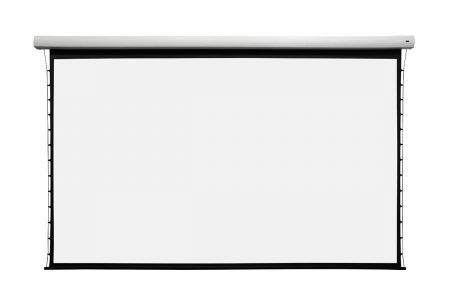 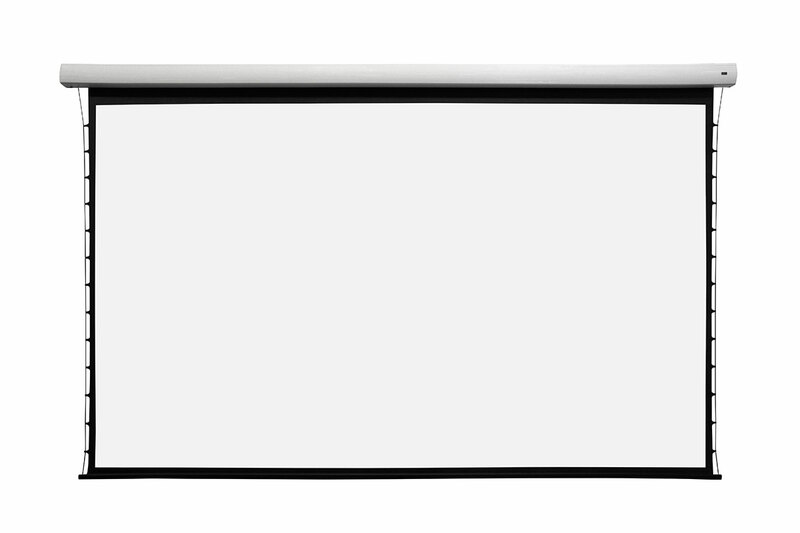 CineWhite® UHD 1.15 180° A Tension Matte White reference-grade projector screen material that is certified by the world renowned Imaging Science Foundation for its superb color temperature, contrast and black level performance. 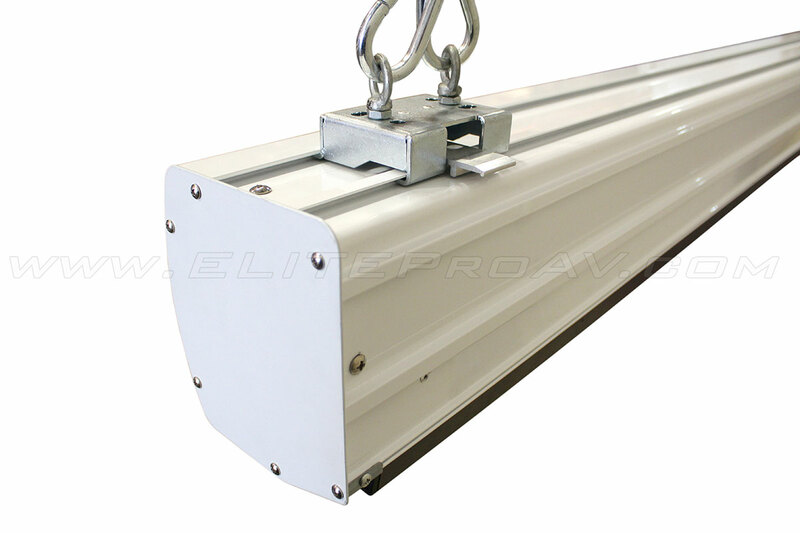 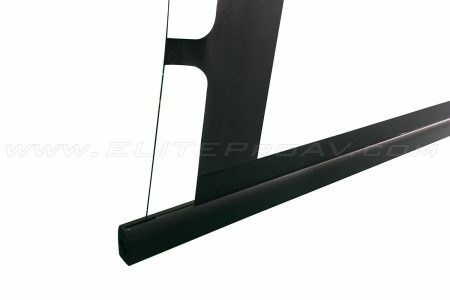 The tension PVC material construction has the needed pliability to maximize flatness in a “roll-up” projection surface. 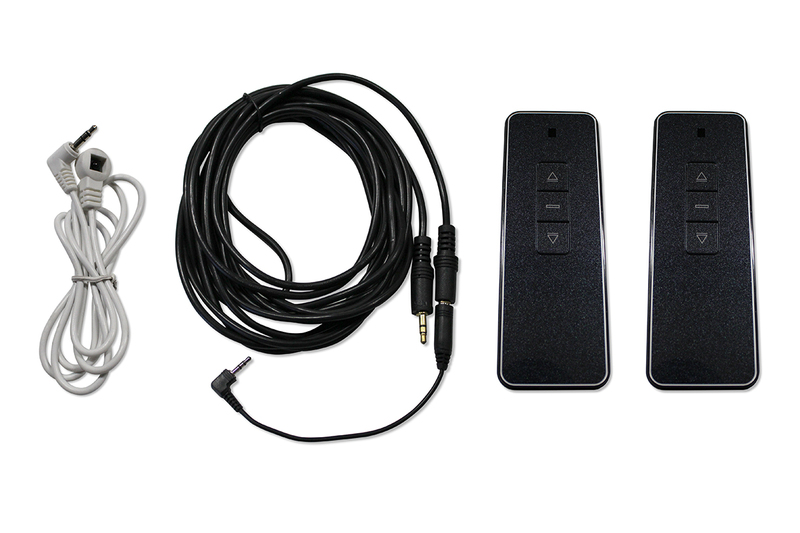 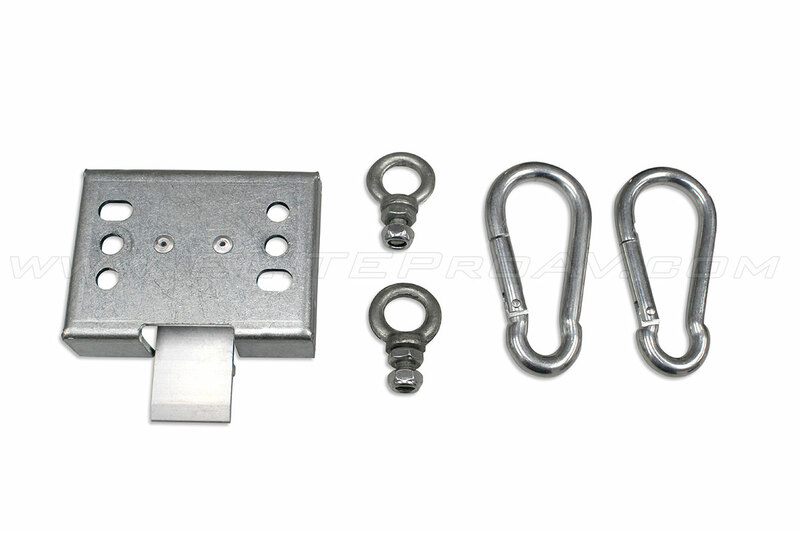 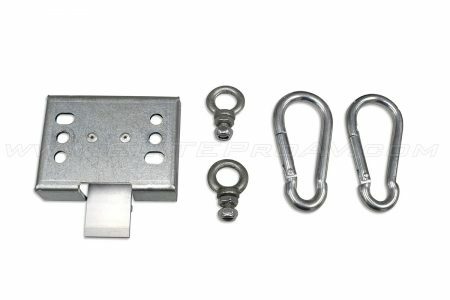 Comes fully assembled for plug & play operation with no tools or assembly required.